Alan Walker is Professor of Social Policy and Social Gerontology at the University of Sheffield, Director of the New Dynamics of Ageing Programme part-funded by the ESRC, the research project Mobilising the Potential of Active Ageing in Europe, and the EU-funded project Social Innovations for an Ageing Population. 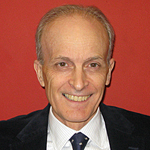 In 2013 he became the ESRC’s first Impact Champion. Why did you pursue an academic career? Becoming a professional social scientist was accidental. I was hooked strongly by sociology and social policy during my undergraduate degree at the University of Essex, and then Peter Townsend offered me a short term post working on his mammoth project Poverty in the United Kingdom. 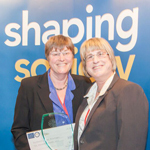 Celia Kitzinger (University of York) and Jenny Kitzinger (Cardiff University) Co-Directors of the Coma and Disorders of Consciousness Research Centre and joint winners of the ESRC’s Outstanding Impact in Society Award, 2015.